We wash your carpets with great knowledge and care. 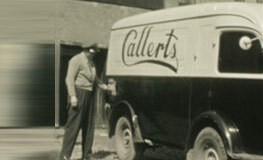 We have washed carpets since 1935! We restore your antique rug! Before and after washing so much difference can there be! Since 1935, Callerts Rug Cleaning is specialized in cleaning of oriental rugs, antique fabrics, flatweaves and handmade carpets. 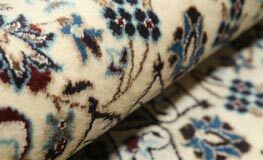 We have extensive experience of washing rugs and antique tapestries. We deep clean all types of rugs such as oriental rugs, wilton rugs, rölakan, rag rugs, entrance mats, and more. We are a Swedish company, working for a long-term sustainable development. Callerts Rug Cleaning washes Kelim carpets, wilton carpets, shepherd carpets, paper carpets, handmade carpets, rugs, shaggy rugs, and antique fabrics and tapestries. If your carpet example, has started to be worn out at the fringes or edges, has tearingdamages, holes or burn marks then we can repar and restore it for you. 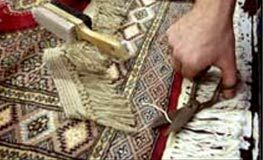 Specialized in the cleaning of oriental rugs, handicrafts carpets, flatweave and antique fabrics and tapestries. Since 1935, we carefully washed all types of carpets.